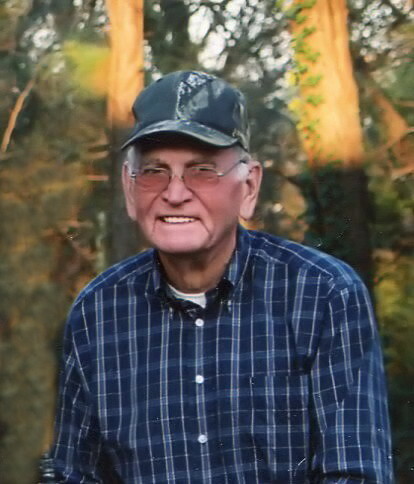 Claude Lethia Wood, 88, of Bethel Acres, passed from this life and into the arms of his Lord and Savior on Monday, March 25, 2019 at his home. He was born March 27, 1930 to Claude and Hazel (Phillips) Wood in Morse, Oklahoma on the family farm in Okfuskee County. As a child his family moved to California where they lived until returning to Oklahoma and settling in Okemah until making their home in Clinton, Arapaho area. After he returned home from the service, he worked for Oklahoma Highway Department, Lee Way Trucking Company and would meet his future wife, Bettie Jo Sexton while she was working at her family’s café in Midwest City. They were married on January 5, 1952 at Wickline United Methodist Church in Midwest City and happily married for 63 wonderful years. They began their family in 1953 and moved to a farm in the Harrah/Newalla area until 1982 when they moved to Bethel Acres where have since resided. Bettie preceded him in death on January 12, 2015. He was preceded in death by his loving wife, Bettie Jo Wood; son, Claude Wood, Jr.; daughter, Susan Johnson; his parents, Claude and Hazel Wood; brother, Harold David Wood; and sister, Betty Lou Collins. Those left to cherish his memory are his daughter, Mary Wood of McLoud, OK; 4 grandchildren and spouses, Twyla and Billy Whited of Monroe, TN, Angie Wood-Johnson of Bethel Acres, OK, Brandon and Pam Wood of Monroe, TN and Ashley Wood of McLoud, OK; great-grandchildren, Dallas, Lilly and Ava Whited of Monroe, TN and Gracy, Elle and Gabe Wood of Monroe, TN; and many loving family members and friends. Visitation will be from 9:00 a.m. to 8:00 p.m., Thursday, March 28, 2019 and continue through service time. Service will be 10:00 a.m., Friday, March 29, 2019 at Cooper Funeral Home Chapel with Reverend Kay Nix officiating. Burial will follow at Pilgrims Rest Cemetery in Newalla under the direction of Cooper Funeral Home of Tecumseh.